Navigating Denti-Cal can be hard. This is why CHAMP has case managers on staff to help families with small children find coverage through Medi-Cal. 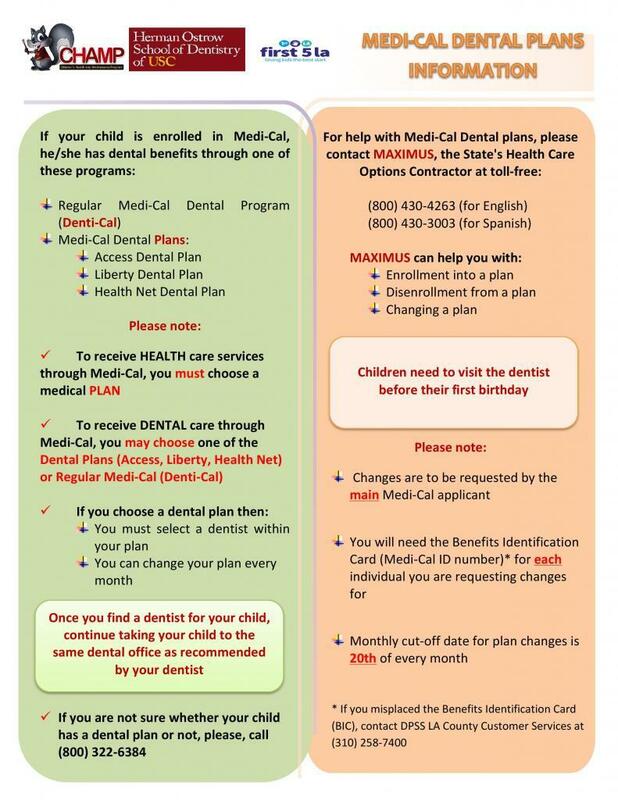 For more information in either English or Spanish on how to get dental coverage for your child via Medi-Cal, click on the image below. Already enrolled in Dent-Cal? Use this web tool to find a dentist who accepts Denti-Cal and Denti-Cal managed plans.